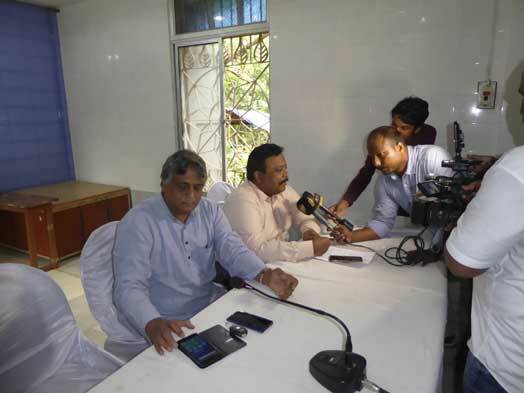 Bhubaneswar: In a Press Meet held at Bhubaneswar, The Wildlife Society of Orissa (WSO) has demanded adequate safeguards before carrying out massive plantations under Green Mahanadi Mission. In a letter to the Forest department , PCCF, Odisha and the Central Government’s MoEFCC, the Society pointed out that a massive plantation over 75,760 hectare of government land and 47,470 hectare of private land shall be done under this mission with an outlay of Rs.200 crores for first phase for 2018-19 for planting 2 crore seedlings. A width of 1 km shall be covered. WSO has pointed out that most of the planting is expected on the river plains, i.e, the low lying area beyond the embankment which also receives the high flood waters. The Green Mahanadi Mission needs to be implemented with caution since it can also have harmful and irreversible impacts on riverine ecology, wildlife and local livelihoods. River flood plains are ecologically important having existed for thousands of years and cannot be converted into forests blindly. They consist of grasslands, shrubs and riparian forests. Judgements delivered in Art of Living project (OA 65 of 2016) and Commonwealth Games village (S.L.P. (C) No.s 29055- 29056 of 2008) observed flood plains of rivers are not waste lands; they noted their ecological role and conservation imperatives. 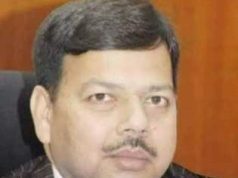 Stating the harmful impact on the riverine ecology and wildlife, Dr. Biswajit Mohanty, Secretary of the Society, said that flood plains are usually barren consisting of silt and sand or can have vegetation of grass, creepers, reeds and shrubs. In some areas there might be some scattered trees This localized habitat nurtures a wide variety of wildlife like grey partridge, curlew, lapwings, waders, snakes, monitor lizards, foxes, etc. Even Schedule I species like pythons, wolves and fishing cats are found in flood plains. Many species of terns and the Indian Skimmer that is extremely endangered nest on flood plains, riverine islands. The sandy banks and islands are nesting and basking area for turtles. It would be unwise to convert this habitat into forests. This would lead to replacement of of natural vegetation as well as destroy nesting, feeding and basking areas of wildlife species WSO suggested plantations may be done only after the high flood line if any vacant area is available within the stipulated 1 km width. Local villagers can plant fruit saplings in backyard but no such saplings should be planted on flood plains. 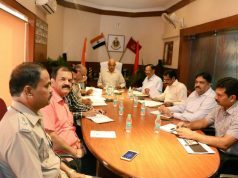 Plantation of riverine islands and river bed should be completely prohibited: Forest department has carried out plantations in riverine islands and river beds in Mahanadi near Cuttack city which affects the river’s morphology and hydraulic dynamics. The water speed is hindered by such plantations that break the fast flow of water currents. This leads to excessive trapping of sediment load which in turn leads to formation of high sand banks and leads to a gradual reclamation of the river by progressive deposition. This affects the water discharge capacity of the river and in times of excess inflow in the catchment areas can lead to flash floods. 500 acres of river bed and islands of Mahanadi river near CDA of Cuttack city near new CDA-Nuapatna bridge as well as at Hadia Patha near Jobra are covered. Anil Dhir, Member Co-ordinator of WSO said that while most flood plains of Mahanadi are cultivated even though the land is not privately held. It would be extremely unwise to disturb them by eviction since it would spark off avoidable conflicts. Such fertile flood plains are used to grow a wide variety of crops including water melons, brinjal, groundnut, sesame, pulses, pumpkins, etc. Annual flooding deposits fertile silt thereby leading to renewed soil vigour that results in abundant harvests. Buffalo, cows and pigs use flood plains and riverine islands for grazing. Converting them into forest would immediately lead to a deprivation of pastures f and lead to huge conflicts. In the districts of Khurda, Cuttack, Jagatsinghpur and Kendrapada there is already a huge shortage of commons due to a high human population. The state government should consider above issues and implement the Green Mahanadi Mission with appropriate safeguards for local ecology, wildlife & livelihoods.